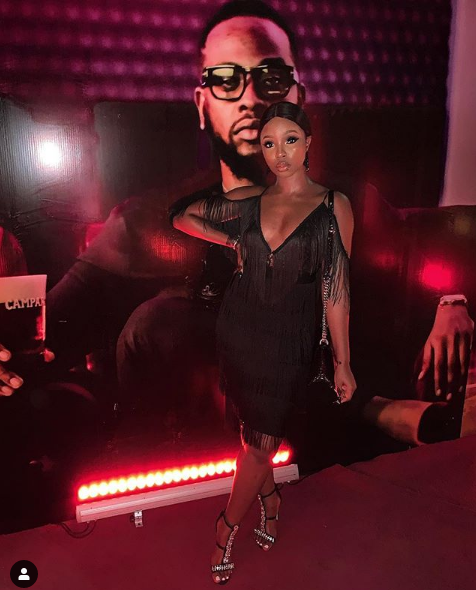 Bambam Light up Social Media as She Drops Photo with Teddy A background Picture. The former Big Brother Naija 2018 housemate, Bambam has never stopped loving Teddy A as she always shows up in Teddy A event. The most recent was the Campari Red Party which Teddy was one of the Campari’s ambassadors alongside Alex. Bambam’s photo with Teddy A in the background as be the latest talk on social media with a caption by Bambam.